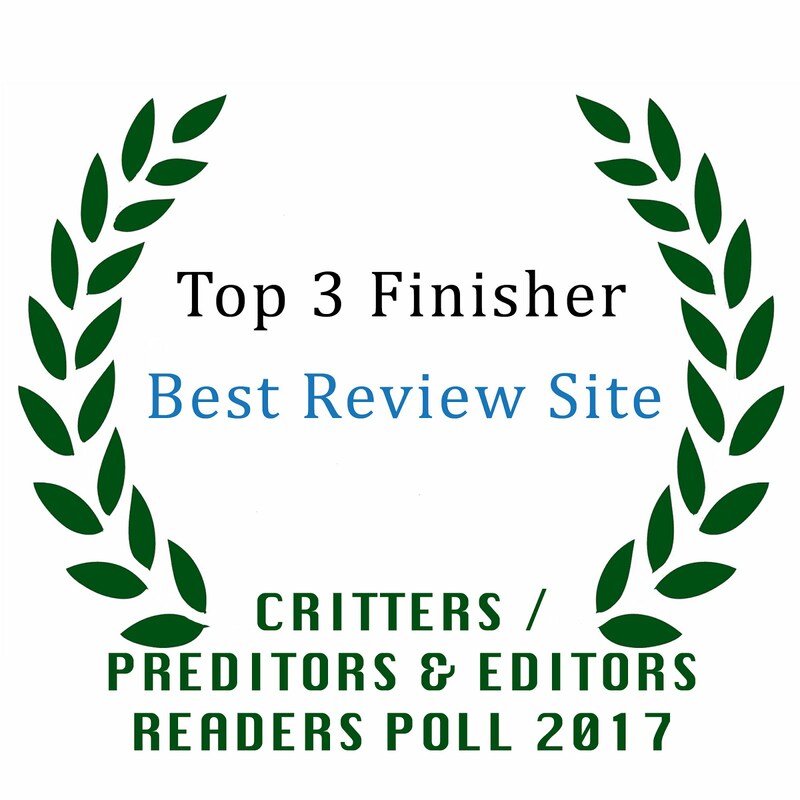 The second Wednesday of the month we focus on a a favorite series or a favorite author for the "Gift Idea For The Book Lover" post! This time around, I thought we twist things a bit and say THANK YOU to the authors that write the fabulous books we oh so love!! Many of us find our 'quiet time' in the books we read. We escape into the world the author has created and spend countless hours exploring! We have several book boyfriends and this is the ONLY time it's okay to have a few! I have found my passion in books and because of books I have discovered a many great things about myself and what I want to do with my life. 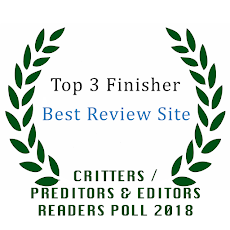 So THANK YOU for sharing these wonderful stories with us all!! This week we bring you Gift Ideas for the Author! BookFiend stickers are printed on weatherproof vinyl and are outdoor rated for at least 4 years. I use UV resistant inks so there's no bleeding or fading, even in the worst of elements. 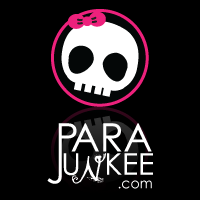 Stickers are hand trimmed and packaged in a resealable cello sleeve with cardboard backer. Stickers measure 3-1/2" by 5". Need your own words in a sticker? We can do that too...just ask! 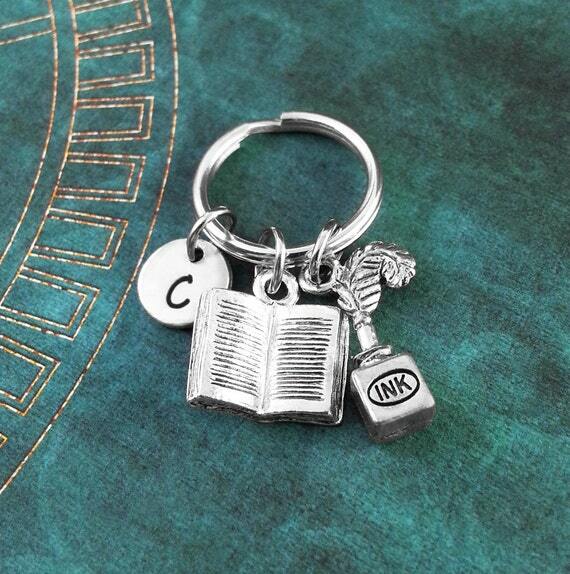 This listing is for a personalized hand stamped book and quill charm key ring. We can also make this into a necklace. 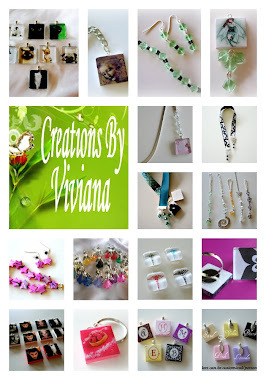 :) You will be able to choose between a key ring, link chain, or ball chain when checking out. You will also be able to choose your initial! **Please see the second picture for scale. This keychain is made of steel and pewter. The round initial charm measures 3/8". There's nothing better than a brand new journal or notebook. The feeling of freedom when you flip open to the first blank page is one that never fails to conjure a smile. 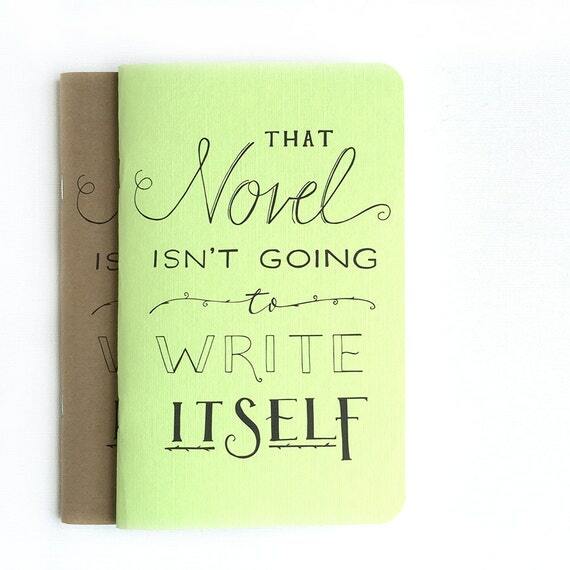 This 5" x 8" journal features a gorgeous, slightly textured spring green cover (or kraft, if you choose) with the quote 'That novel isn't going to write itself' across the front, handlettered just for you. The interior features 32 (64, counting the front and back!) milky-white pages, ready for you to start jotting down notes for your next NYT bestseller! The quote was handlettered and then printed. The journal was handmade. Any writer, whether published or not, will enjoy this humorous writer key chain. If you're currently writing a book, it's hard not to talk about the process. If you've just published your book, then you're consumed by all the marketing activities that you need to do to get the word out about your book. 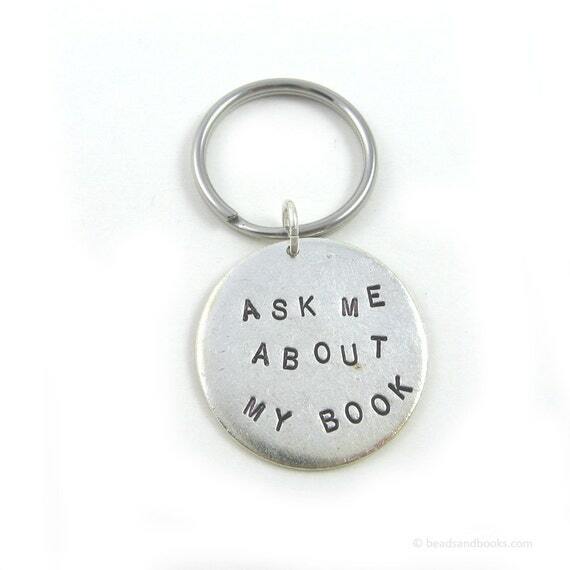 To create this unique key chain, I hand stamped the words "ASK ME ABOUT MY BOOK" on a round piece of plated metal. The exact placement of the words may vary. (See photos.) Both the copper and pewter colors are on the darker side with a blackish finish. (The black is especially visible on the back of the key chain.) You can choose a hammered or smooth finish (see photos). This key chain has such a nice weight to it. It's not super heavy, but it's also not flimsy. You wouldn't need to worry about it getting bent when you throw your keys in your bag. I attached the metal to a large stainless steel key ring. I love that this keychain is a little battered and worn looking--that's how I always feel after I finish a large writing project! This metal key chain makes a great gift for a writer. It comes gift-boxed. 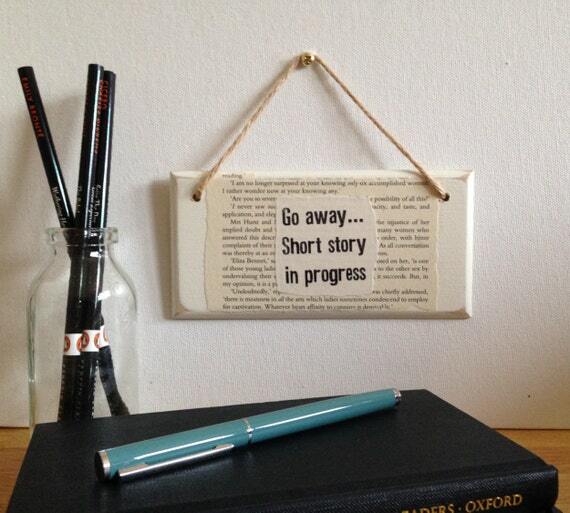 The perfect gift for short story writers seeking some peace and quiet! Hand decorated using pages from classic literature and strung with biodegradable jute twine. These signs have been sealed but are not intended for outdoor use. 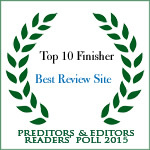 Perfect for any writer or author in need of inspiration or conversation starters. 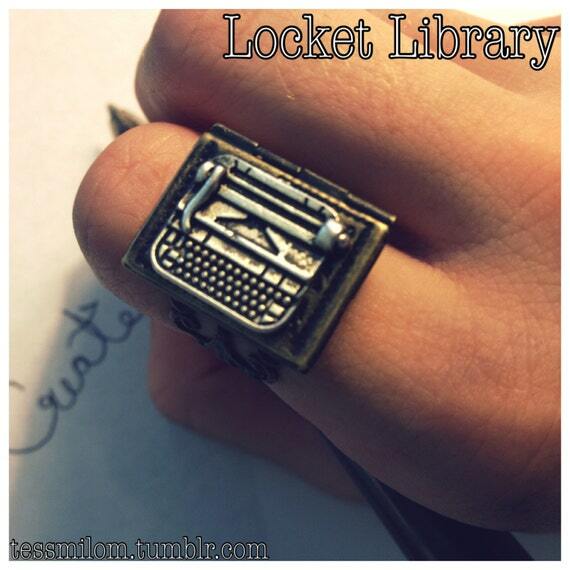 A tiny typewriter sits atop this little book locket. A more modern spin on this would be a laptop! Locket is a great size for small pictures, favorite quotes, or notes. Please be aware that the filigree band is beautiful, but like most ornate things, it is delicate and uncomfortable. This shop recommends the simple band for frequent wear and children. 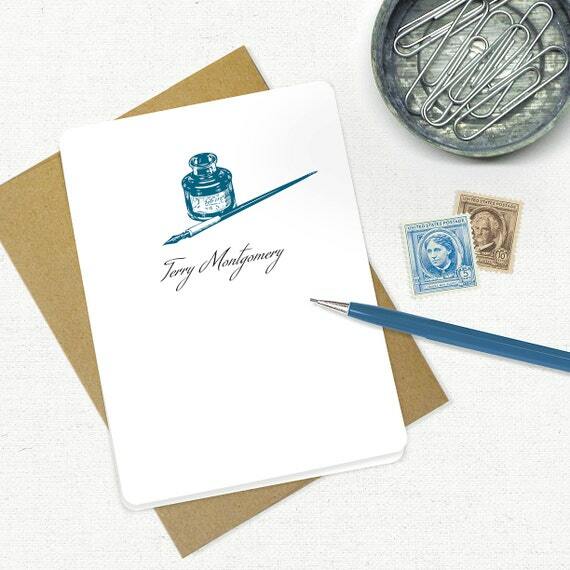 This set of folded note cards features an antique pen and inkwell printed in any one of the 48 color choices available. Rounded corners and a beautiful script font printed in black ink enhances the vintage image. Choose either brown bag kraft or white envelopes. Inspiration Dice are the perfect tool for writers, artists of any kind and even RPG gamers. With Inspiration Dice, you can roll a genre to create in, a character, their action or goal and you can even roll plot twists if you get stuck creating along the way! 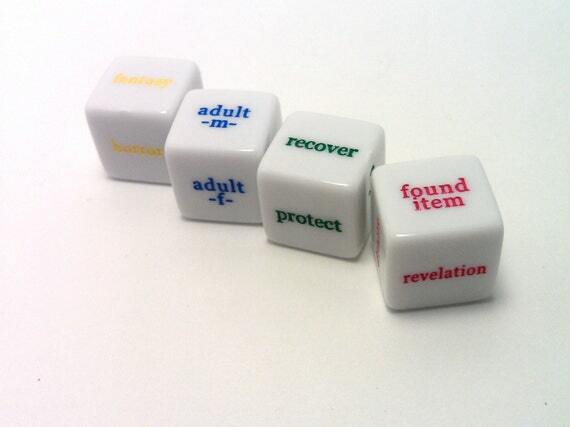 The original set includes one genre die, one character die, one action die and one plot dice. It is the perfect set to jump start your next creative project! To roll a prompt, simply roll the genre, character and action dice. What you get is the genre you're starting in, the character you're starting with, and their initial goal or action. 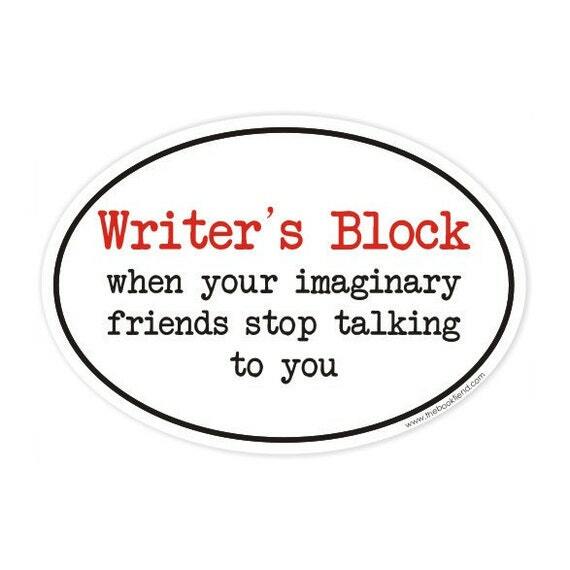 If you face writer's or creative block, just roll a plot twist or a new action for your character. This unique necklace combines a vintage pen nib, a hand-stamped write charm, and a piece of druzy. 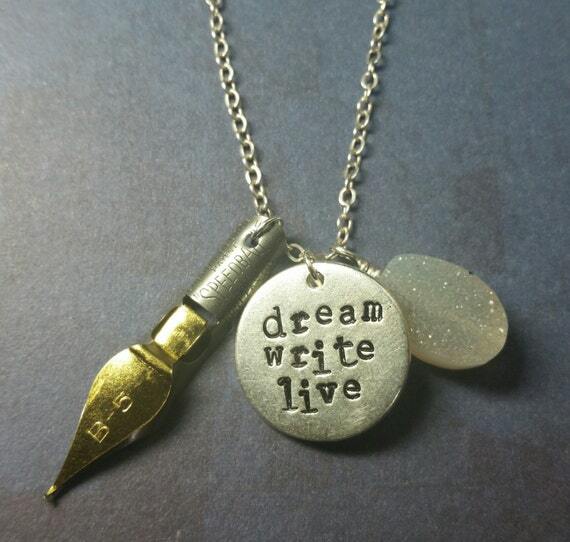 The silver plated charm is hand stamped with the words "dream write live", and the letters are inked to be more distinct. This vintage pen nib (circa 1940s) has a hole punched in it to become a charm. The piece of druzy adds a bit of sparkle! A great gift for a writer! Write charm is silver plated pewter, and just a bit smaller than a nickel (19.25mm). The chain is sterling silver and measures to about 18 inches. The druzy is attached with a sterling silver pin. The pen nib measures to about 1.5 inches. 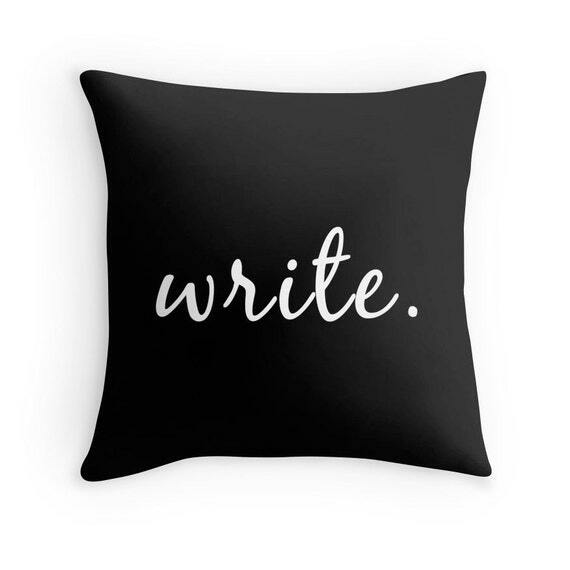 Add some words of inspiration to your home decor with a simple throw pillow! ★ Material: Polyester poplin fabric (canvas like feel). ★ Design is printed on both sides. ★ Pillow is finished with concealed zipper. ★ Pillow inserts are faux down material. ★ Pillow is available in various background colors with white lettering. Click on the second image above included with this listing to view color samples. No, You Can't Use That Image: Don't Be A Thief! No, You Can't Use That Image!